The Core Exhibition, opened four decades ago, is now closed and removed. The new museum will be inaugurated in 2020. The Museum of the Jewish People at Beit Hatfutsot is undergoing a comprehensive renewal process. It began in 2016 with inauguration of the new wing, housing the Alfred H. Moses and Family Synagogue Hall and the Tamar and Milton Maltz Children’s Gallery. In 2020, the renewal process will culminate with the opening of a new 66,000 square feet permanent exhibit. The new museum will offer an authentic, inclusive and inspiring global Jewish experience for each and every visitor, applying cutting-edge design and technology to showcase a vision of Jewish life that is diverse, accessible and engaging, connecting visitors with a personal sense of their identity, roots and connectedness. 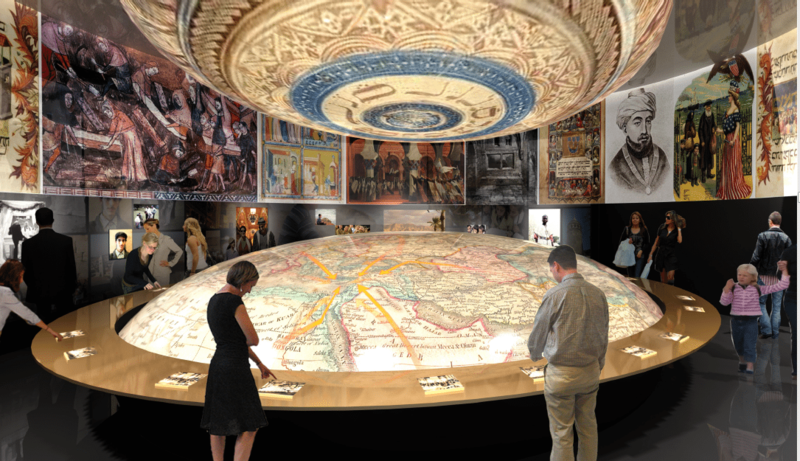 While continuing to showcase the Jewish past — and doing so with more impact, depth and breadth than ever before — the Museum of the Jewish People at Beit Hatfutsot will evolve, celebrating the successes and creativity of Jews around the world today, in all fields of modern life, while embracing the diverse ways that Jews can choose to live. Through this approach, unparalleled in Israel or any other location globally, the museum will serve as a platform for a shared, optimistic Jewish future, connecting modern Israel with global Jewish life, and the voice of each individual with the fate of the collective Jewish people.